Breast Augmentation, or breast enlargement / breast enhancement, aims to increase breast size and/or fix breast asymmetry. Many candidates include women who want larger breasts. Or perhaps those who want to restore the breast volume lost as a result of pregnancy or significant weight loss. The two types of implants for breast enlargement are silicone and saline implants. There are three ways to do breast augmentation (1) through a periareolar incision around the areolas. (2) An inframammary (under the breast) incision in the crease below the breasts, or (3) a trans-axillary (across the armpit) incision in the natural creases of the armpit. The plastic surgeon will discuss whether submuscular (under the pectoral muscle) or subglandular (under the breast tissue) implant placement would be best. A breast implant is a soft, silicone envelope with various fillers that the surgeon implants under the tissues of your chest to simulate natural breast tissue. The sac may be filled with a silicone gel or saline (salt water). The implants can be round or teardrop-shaped, with a textured or smooth coating. 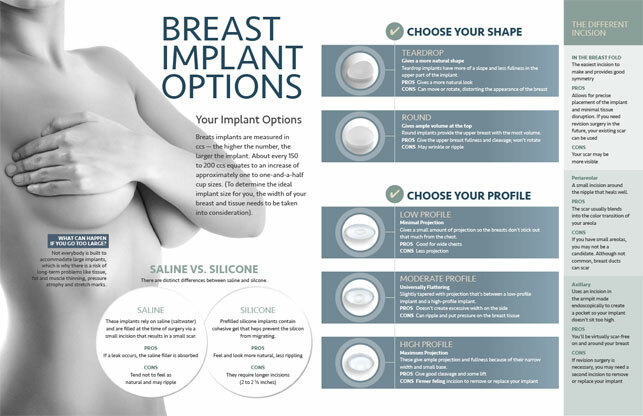 FDA approved silicone gel implants for breast augmentation in 2008. They, in fact, are a surgeon’s first choice in implants, although another option, upon request, is saline-filled breast implants. In some cases, fat grafting may also be an alternative to augment your breasts with or without an implant. Dr. Lorenc is a board-certified plastic surgeon; aside from breast augmentation, he also performs Breast Lift and Breast Reduction surgeries.